Hello again, Everyone. I am glad you to see you today. These were so quick and easy to put together! Do try it sometime and add some zing to your invitations. Please note that these invitations will require extra postage because of the bulkiness from the yoyo’s. They cost me $0.64 each. Just so you know… The BEST part of this little project is that only scraps were used to make these accents – I love it when I can use up some of my scraps. Thank you for stopping by – I hope you have a lovely weekend! I have a busy one. 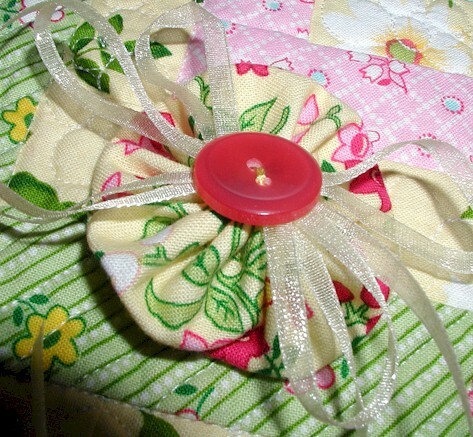 But that means I will have sewing pictures to share with you next week! 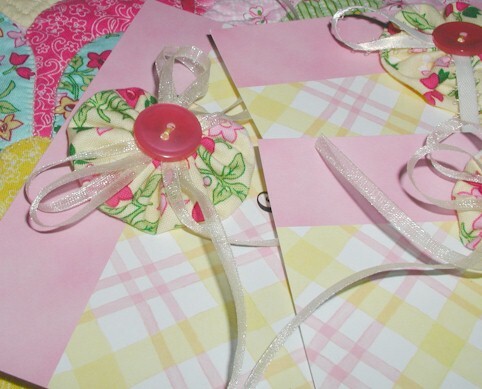 This entry was posted in "Scraps" Projects, General and tagged embellishing birthday invitations, Yoyo's. Bookmark the permalink. Those are just darling and very clever as well. Love the left overs you used. Happy Birthday to your daughter, wow, a year old already. Does it even seem possible? No probably not. I hope she has a terrific day! Very very cute! Wishing your baby a Happy One year old Birthday! 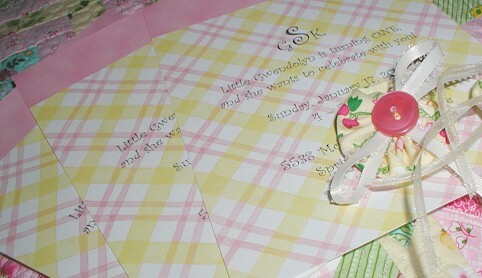 Precious little invites for a precious little babe! They are just perfect, Wendy! Nothing is more fun than a one-year-old’s birthday party. 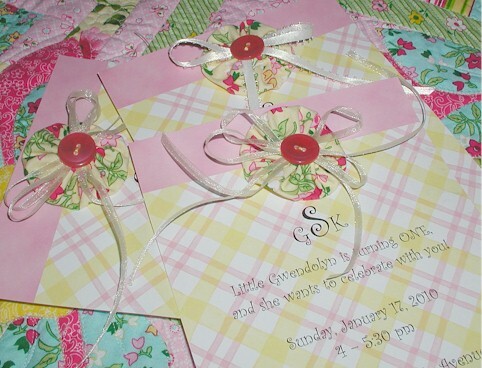 Such sweet invitations. Enjoy your precious baby! These are beautiful! and, that is how my given name is spelled- it made me *smile* and I had to comment. love from another Gwen. . . .
Wendy, those are just absolutely the cutest things EVER! How clever and adorable! You did great on these! My goodness Wendy, your blog certainly is a constant source of inspiration! 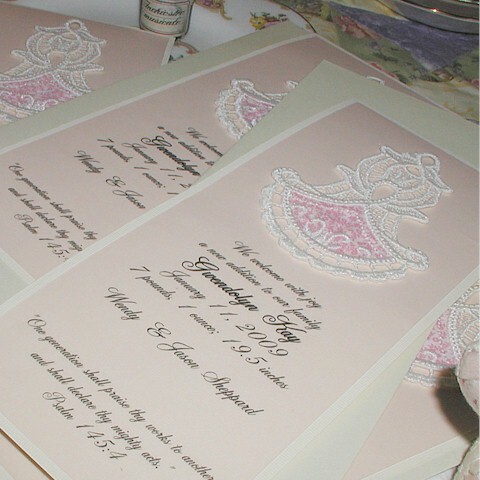 Those invitations are beautiful. And Happy Birthday to sweet Gwen. I bet you can’t believe that she’s a year already! !